They teased it over the past week but today it’s official. 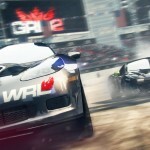 GRID 2 is coming in 2013 to bring track and street racing back to the console and PC crowd using the well-known EGO technology that has paved the way for Codemasters over the years. Check out the trailer for awesome goodness and the full press release after that for the current details direct from CM. Los Angeles, Calif. – August 8, 2012 – Codemasters® today announced that GRID® 2™, the long-awaited sequel to the BAFTA-award winning, critically acclaimed GRID™, is in production at Codemasters Racing Studios and set for a 2013 launch for the Xbox 360® video game and entertainment system from Microsoft, PLAYSTATION®3 computer entertainment system and PC. 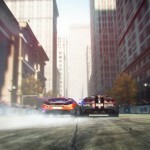 Revealing the first of the game’s new locations, including Chicago and Paris, the debut GRID 2 trailer video is now showing at www.gridgame.com and captures a snapshot of the relentless, high-impact aggressive thrills that lie at the core of GRID 2’s cinematic race experience. GRID 2 will challenge players to be fast, be first and be famous as they enter a stunning new world of competitive motorsport. In pre-production for two years, GRID 2 is now in full development on the latest evolution of the award-winning EGO Game Technology Platform. 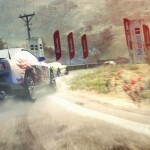 Following the success of GRID, which set new standards for damage, AI, visuals and introduced the Flashback time rewind feature – now adopted by many racing games – GRID 2 will again raise the gameplay and technological bar for motorsport gaming and remain true to the series’ core values – it’s all about the race. In an expansive career mode, players will experience aggressive wheel-to-wheel racing against advanced AI where each spectacular race unfolds with cinematic immersion. Building on the handling model from GRID, the new TrueFeel Handling System will use real physics to hit a sweetspot between accessibility and simulation and deliver handling that is approachable yet challenging to master. Going behind the wheel of a handpicked selection of automotive icons spanning four decades and three continents – North America, Europe and Asia – players will race their way to the top of a new, evolving world of motorsport. From Paris to Abu Dhabi, Miami to the sun-kissed California coast and beyond, beautifully created city streets, licensed circuits and edge-of-control mountain roads will become home to the most visceral and exhilarating races in gaming. 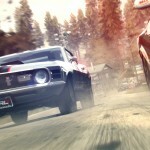 GRID 2 will also set new standards for a racing multiplayer experience with an entirely distinct and extensive gameplay component and unique progression system. Deep customisation options and integration with RaceNet* – the online community portal for Codemasters Racing games which tracks player’s races, rewards and rivals – will offer further immersion and connectivity in GRID 2’s new world of motorsport.